The MusicWorx Toolbox course Group Music Therapy Interventions Strategies and Techniques for Music Making and Song Writing / Lyric Analysis focuses on strategies for creating, writing, and analyzing music in a variety of ways. This resource adapts to an array of populations for group or individual work. Use the sessions as they are, then experiment with instrumentation or genre selections to fit specific goals—an engaging process for both therapist and client. References to items on the Board Certification Domains are based on the Practice Analysis Study of 2014. 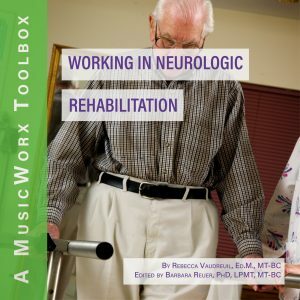 Those registered for the MusicWorx Toolbox course Group Music Therapy Interventions Strategies and Techniques for Music Making and Song Writing / Lyric Analysis will develop or improve their abilities to help others express themselves through active music-making, writing songs, and by analyzing lyrics. Participants will learn these skills for group settings and individual work. Write ten process–oriented songs for lyric analysis. 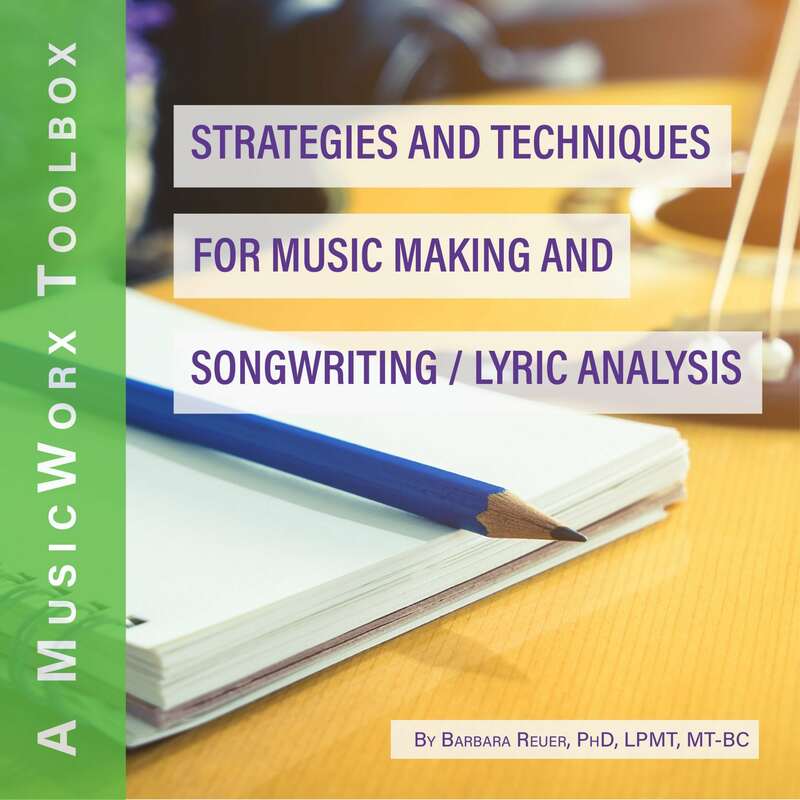 Create at least three fill–in–the–blank–style songwriting strategies to be used with patients. List three common goals correlating with active music. Describe how both songwriting and lyric analysis are used as forms of self–expression. I really enjoyed this MusicWorx Toolbox. A lot of songwriting session plans and activities that can be adapted to any population. I encourage anyone who needs CMTE's at an affordable price to take any one of these toolbox courses. This is the 5th one that I have taken. 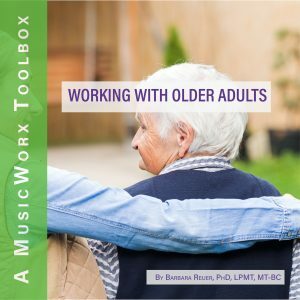 I’m enjoying your MusicWorx Toolbox books! They come in so handy when you need an idea at the last minute!